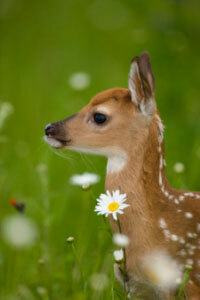 Fawns normally don't make any noises except for occasional bleating when in distress. 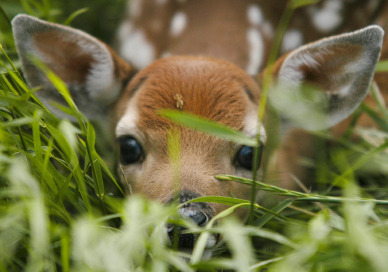 When the fawn bleats and the doe is unable to see the fawn, she will come running to the fawn's rescue. 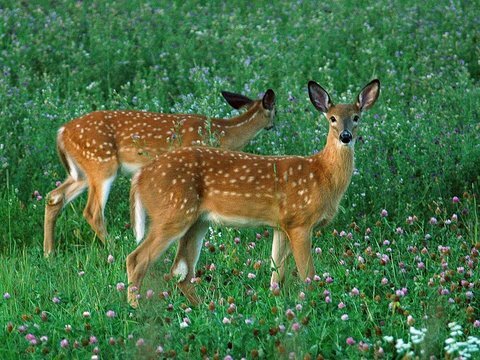 A doe and her fawns live as a family group until the fawns are weaned. 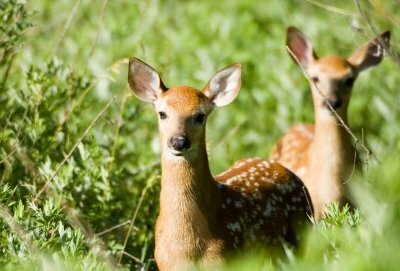 Sometimes multiple does and whitetail deer fawns will group together. 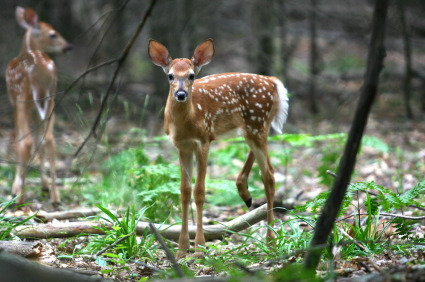 Interestingly, the deer habitat where the fawn is born normally becomes its adult habitat.